I know things have been somewhat sparse around here lately. Today is the first time I have even been on my computer for about a week. To say life is busy is an understatement. We've cleaned out our laundry room, had a yard sale, had guests last weekend, and will have company again this weekend, I'm going through a job transition (a good one! ), and all kinds of other things that add up to CRAZY. I'm not apologizing for the lack of posts because I cringe when other bloggers do that. I just like to share and let you know what is going on in my life. You know, in case you were wondering if we had a yard sale. We did. A few of you expressed the desire for me to keep you updated on how my running is going. I will humbly oblige. Let me start by saying that none of this is meant to be braggy (it's a word) or come off as vain or however else it could be taken. 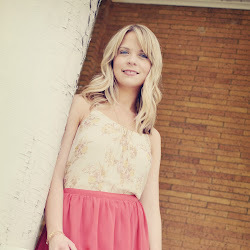 I actually skip over pictures, tweets, or blog posts about other people's running. I am a chronic comparer (also a word), so reading about the fact that someone just ran 10 miles in an like 30 minutes makes me feel inadequate and a little panicky that I am not at that level. I want to share my journey to encourage and also for my own selfish reasons - when I become an Olympic runner I want to look back at my humble beginnings. Let's start with my goal: Zero to 13.1 in 9 months. I am going to be running a half marathon in February '13. When I go, I go all in. 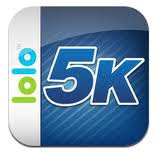 I just finished the 5k training program by lolo. It uses Jeff Galloway's run, walk, run method. It has been perfect for me. I had this idea that I was going to have to run 13.1 miles, non-stop, and if I walked I would be a failure. Training with this run, walk, run method has helped me realize that walking in the middle of a race is good for your muscles and there is nothing to be ashamed of. It's an 8 week, 3 day a week program, with 2 of those weekly runs being "short" runs. As I said, I've finished the 5k program and I've moved on to the 10k program by the same developers. This one is a 13 week program, following the same 3 run pattern of 2 short runs and 1 long run. The first long run of this program calls for a 5 and a half mile run, so there is no messing around. How do I fit in running? As most of you probably know, I am a full time working mom so fitting in a regular exercise regimen requires some time crunching, and let's face it, sacrifice. My every day work routine involves getting up at 4:45am to make it to the office by 6. I work a full day, come home, get the kiddo up from nap and play with him until Anderson gets home from work. Then we all head to the gym. I hit the treadmill while Sawyer plays with Anderson in the pool. If Anderson is working late, I take Sawyer by myself to the gym and put him in child care. I do that twice a week for my short runs. As for my long runs, I get up at 5:30 on Sunday morning and sneak out to run while everyone else is still asleep. By the time I get home, breakfast is served and it is time to get ready for church. As I progress through the program and the runs get longer and longer, I have to carve out a few more minutes here and there to keep up. I won't lie. It's not easy and I'd rather sleep in on Sunday mornings. After that lengthy, wordy post, there wasn't much updating being done, now was there? Here's a nice short update. Eight week 5k training program done with about 55 miles run over that period. I am in week 2 of my 10k training program and I successfully ran 5.45 miles for my first long run and I felt really great afterwards. For the first time I really think I can run a half marathon. Oh, I feel a cliche coming on... And if I can do it, you can too. I'll update the 6 people who are hanging onto my every word next time I have a worthy running update, so probably a couple months from now. To those 6 - you are the best for making it through a post that only has an app icon picture. I'm not a runner (well, not anymore, anyway) but I made it to the end of your post! lol I can't seem to fit in exercising now, but someday I will... really! (I'm saying this to convince myself. Really.) I admire you for sticking to a goal and making it work. I'm so proud of you, Allison! I know first-hand how intimidating, how gruelling, how awful, how time-consuming, and how rewarding running can be. I've "taken a break" lately from running, but you're inspiring me to get back into it! I didn't start running until i was in my 30's and already had 4 kids. I ran a 1/2 marathon in 2010, and next to giving birth, it was the biggest physical accomplishment of my life. Now my girlfriends are pushing me to try a full marathon. I won't lie, it's the time commitment that I struggle with. That and the summer heat is a killer for an outdoor runner like me. I am restricted to a lot of treadmill basement running. Thanks for the update & keep up the good work. Yay for your accomplishment!!! I would love to start running... though don't tell my husband that because he loves running and, well, I don't. I do think it would be good for me though and would love to say that I ran at least a 5k. We have a treadmill in the basement that I may have to dust off and put to use again! Keep up the good work and I can't wait to read the updates (even the ones without pictures! ).